We are very excited to announce that Hammersmith will be hosting the next round of the ECF’s “Chess Master at the Local” initiative on Saturday 29th April, centred around Lyric Square in Hammersmith town centre. The initiative sees a top chess professional – we have secured the services of GM Jon Speelman for the day – come to a local community in order to help raise the profile of the game through events with the public & local clubs. We’re also delighted to say we’ll be joined by the inspiring young chess talent Lateefah Messam-Sparks. With a rating of 170, Lateefah is a rising prodigy of English chess. We are running the day in conjunction with mental health charity MIND, to help raise funds and publicity for their excellent work. It will be a great opportunity to spread the word about MIND & the club too – we’ll be handing out leaflets about both, and the Juniors club for any youngsters. To achieve this, we need volunteers – this is where you come in!! Whether you help us set up for the day (from about 9am! ), or can pledge a few hours playing games against members of the public, or you’d like to help out with the activities with youngsters – whatever you can offer, we need manpower! Please get in touch with John White (john.white49@ntlworld.com) to let us know. It will be a huge and historic day for the Club and the Community, and your participation is enormously valuable! 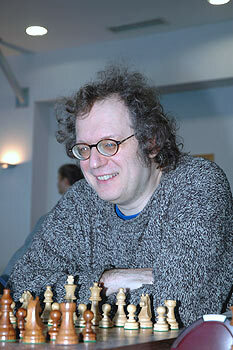 We have fewer than 5 places left for the Simultaneous vs GM Chris Ward at the club on Tuesday 4th April. Details here if you’d like to sign up for the bargain price of £3 per board!